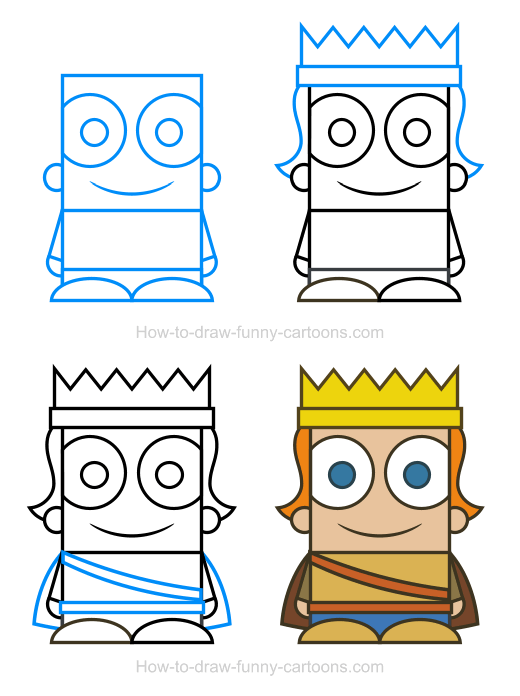 Create a royal drawing using this lesson featuring a prince clipart made from priceless shapes and expensive colors! 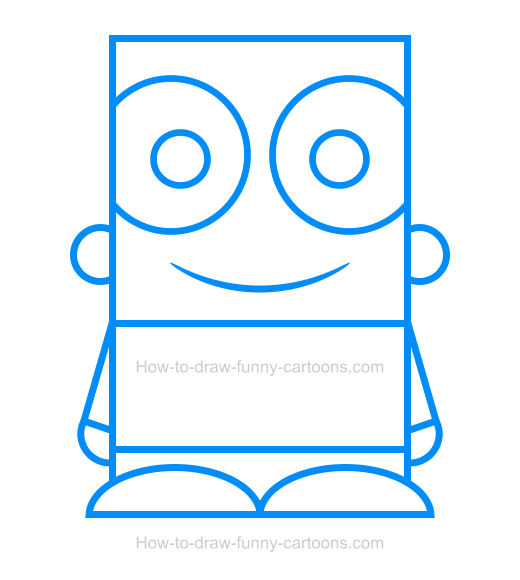 I will show you how to draw a simple character made from basic elements in just four easy steps using mostly rectangles and circles. The first step is the most busy one. It's not complicated, but you must nail this one to end up with a beautiful illustration. First, let's draw the head using a large square. 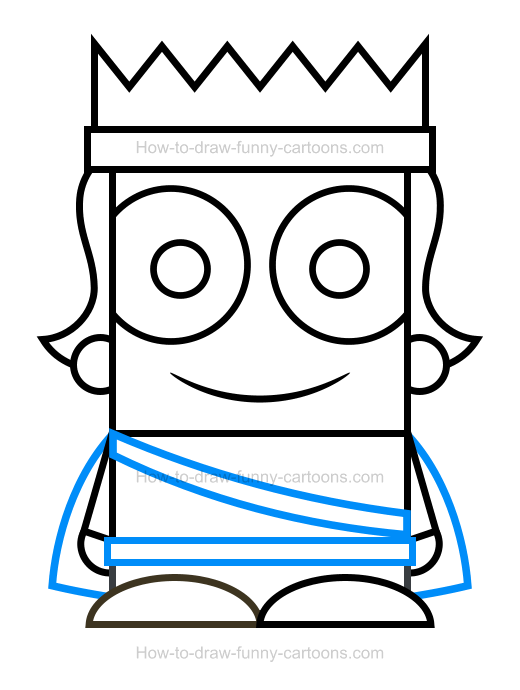 Then, create the body using a medium rectangle and then the legs using a smaller rectangular shape. The arms are also made from small rectangles while the feet and the hands are done using circles. Complete this step by adding circles inside the head to form the eyes and the pupils. The ears are also made from circular shapes while the mouth is created from a thin curved line. 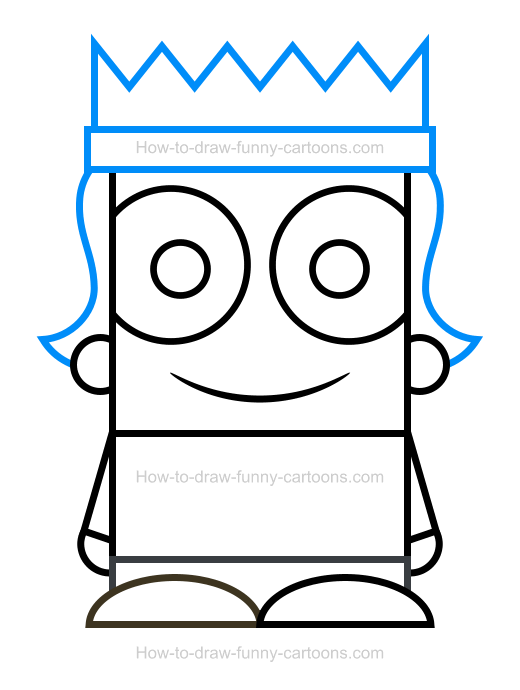 On top of the head of this cartoon prince, draw a large crown made from a rectangle. On top of this rectangle, draw a few spikes using triangles. Another rectangle is added below the crown. Finally, draw some hair using curved lines as shown in the illustration below. This fun cartoon character is also wearing a small cape made from long curved lines. A belt is created from a long rectangle and a sash is done using another set of long curved lines. That's it for the drawing aspect of this lesson. Let's add a little bit of colors. For this character, I have selected a bunch of colors related to earth. The crown, the shirt and the shoes are filled in yellow. The hair, the belt and the sash are colored in orange. The eyes are white and the pupils are blue. The cape is darker while the pants are blue. 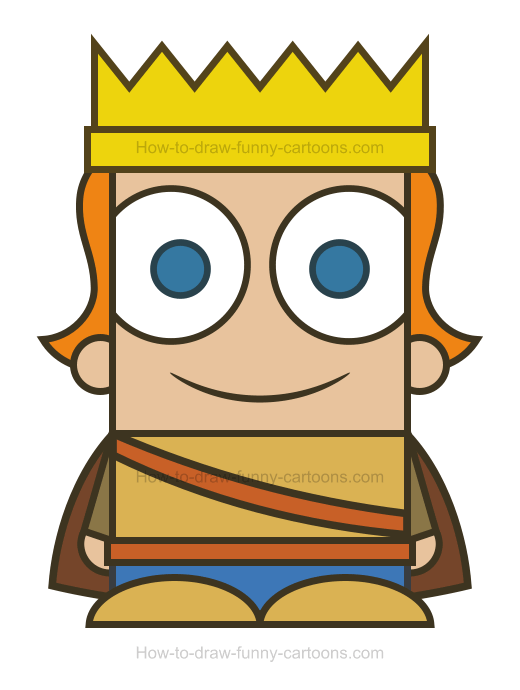 This prince clipart looks like it's ready to become a king! There you have it! These are all four steps required to come up with a fun character like the one found on this page. You are also invited to try more cartoon characters from the same series here. Have fun with these cliparts and don't forget to practice as often as needed.